What? I thought Matt Serra (pictured) was already retired? That’s probably what most mixed martial arts fans were asking when they heard the former UFC welterweight champion has decided to “walk away” from MMA. On April 5, the 39-year-old spent four days in the emergency room to have a rib removed. Serra told NewsDay that was the telltale sign that it was over, although it’s still a tough pill to swallow. Serra exits stage left as one of the sport’s most recognizable and likable fighters. He owns a modest 11-7 professional record, with his claim to MMA fame essentially starting in 2006 when he won “The Ultimate Fighter 4” to earn next dibs at then- (and current) welterweight champion Georges St-Pierre. “The Terror” proceeded to serve up one of the biggest upset specials in UFC history by beating GSP, who was as high as a 16-to-1 odds-on favorite at some sportsbooks. St-Pierre went on to throttle Serra in their rematch and has defended the title eight times since. Serra was last seen losing a unanimous decision to Chris Lytle at UFC 119 in September 2010. 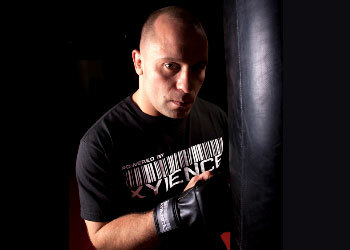 Serra owns and operates Serra BJJ Academy in New York with his brother, Nick. They currently have two locations and house a bevy of UFC talent, including top contender middleweight Chris Weidman.